Stampin' Up! provides a fantastic opportunity to save 20% + on your regular craft purchases , or to earn money in addition to those generous savings by selling our fabulous products to other people. Either way, you will get to be part of our fabulous, fun and crafty community that will inspire you and give you some fun time out among new friends. Selling is not compulsory (so you can join just for yourself as a happy discount shopper, or collect a few orders from friends). You still get all the same benefits and get to be part of our awesome community / team-forum (but you are welcome to just watch what we are all posting if you prefer). Honestly there's no ongoing fees, no pressure and no risk. If you decide down the track it's not for you, you don't buy anymore and you will drop from being an active demonstrator. No questions asked and you keep everything! If you choose to build a customer base and sell I can help you get started either selling online, through classes or events or by home parties. It's entirely up to you how much or how little you want to do, and when you will work. This makes the opportunity perfect for a flexible home based online business. My large Australia wide team is made up of a wide variety of people (both hobby demonstrators and those who are selling part time or full time), so you will also find someone you can learn from and identify with. We are a happy, friendly and supportive group with an active online forum and we love to welcome new team members. We love to get together in person at Stampin' Up! or team events. I have been apart of Stampin' Up! for over 12 years (since the first year Stampin' Up! came to Australia), so I have a really solid foundation of knowledge and support behind us. We are in this for the long haul, so you can count on us being here as long as you are. I have consistently been one of Australia's top demonstrators and leaders (#1 demonstrator in Australia several times), and provide regular team training, team in person events, gifts and rewards. I also pride myself on leading by example in a way you can duplicate, and place lots of importance on your achievements, not mine. Our team even has a dedicated business and blog/social media forum areas, all free to my team members in addition to our regular team forum. Our Art with Heart team is one of the biggest, most active and friendly teams in Australia We love to get together and chat online, at in person events and to stamp, so you will make lots of very supportive crafty friends. We value integrity, and care deeply about each other as team members and the wider demonstrator community. I think that level of care among our team is one of our strongest features and why we are a team of close friends, not just demonstrators. Contact me today by email or by phone/text to 0412120498 for an obligation free chat. I am happy to answer any questions without any pressure, as joining is all about YOU - not me! 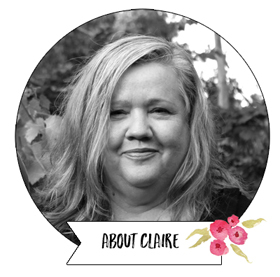 If you have already decided, just click the button below, or Download How to Sign Up Online with Claire to join online right now. It's quick and easy! choose your starter kit and then choose products up to the value of your kit which is $235 n (you cant go over, it has to be up to so it's a good idea to make some notes of what you want first and work out the totals. I'm happy to help with ideas.). fill in your personal details and pay the price of for your starter kit by credit card. Once that's been processed (usually straight away) you will get your demonstrator number and I will get a message through as well, so I know to send you a welcome, and invite you to the team forums. If you need help during the sign-up process, just call/text me on 041 212 0498. I'm here to help! 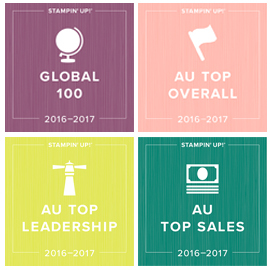 The Benefits of Joining Stampin' Up! You can do as little or as much as you want - totally your choice! No pressure, no obligations. Many of my team have joined just for themselves and to get the great discount and access to the awesome demonstrator resources. People LOVE our products. Stampin' Up! has been around for neary 30 years and is a solid, well respected company with high quality coordinating products in demand by card makers, paper-crafters and scrapbookers (including Project Life enthusiasts). The majority of our products are unique to Stampin' Up! and can't be purchased anywhere else. You get a generous discount on your own orders (at least 20% but can increase to 25%) plus earn up to an additional 13% back. You also get the opportunity to earn Flex Points which can be redeemed for product, logo merchandise, iPads and even a luxurious holiday for 2. Attend OnStage company training events which are held once every 6 months. These are awesome with giveaways, exclusive offers and first peeks at new catalogues. Be the first to know and buy. You get free catalogues and opportunities to pre-order products when each new catalogue is released (3 times a year). You can work your Stampin' Up! business in many ways, so there is sure to be one that suits you. This includes selling through your company maintained online store, taking orders from friends and family, running card-making, scrapbooking or Project Life classes from home, demonstrating at home based parties, or you can even join just for you to get a discount on your purchases. You choose your own hours so it's VERY family friendly. I love that I can work while my children are at school, but be there for important school events and pick up time. It's also super flexible when one of my children needs a day on the couch if they are not well. Working from home is so awesome. You will get great support from myself as your team leader (see what I offer in the above section, but learn more when you talk to me) as well as be part of our fun and friendly online Art With Heart Stampin' Up! Team community where we share, inspire, support, give away team prizes and have fun. There is also exclusive training based on my own experience with the company. You also get great support from the company as well with training and events, comprehensive website, online shopping and online ordering, resources, opportunities to earn free products and lots more! Great creative inspiration and learning opportunity. You will never be stuck for creative inspiration again! As well as having access to the worldwide demonstrator website (Stampin' Connection) which has literally thousands and thousands of samples, you will be inspired by the samples and ideas shared regularly by our team members and myself including my monthly tutorials for my direct team members. Low start up costs - just $169 to get your starter kit (you choose $235 worth of any products you like plus 2 FREE stamp sets during Saleabration January 3rd to March 31st) and you get free business resources and catalogues with your starter kit, along with free postage. Low risk. If you decide after a while it's not for you, there are no exit fees or penalties. To remain active you just need to place $454 sales in a calendar quarter (3 month period). If you join during Saleabration, you wont need to worry about meeting quarterly minimum until the end of June (but we'll show you how it's done before then anyway). You don't need any special qualifications or even to be an expert paper-crafter. There are lots of opportunities to learn as you go and you set your own pace as to how much time you want to dedicate to being a demonstrator.